Calan Bosch car hire on the north coast of Menorca in the district of Ciutadella, a few metres away from the Son Xoriguer development, offers the best bargains with the quality and service of Ownerscars, leading car hire company at Calan Bosch. This is one of the finest developments on Menorca, with lots of facilities and services. 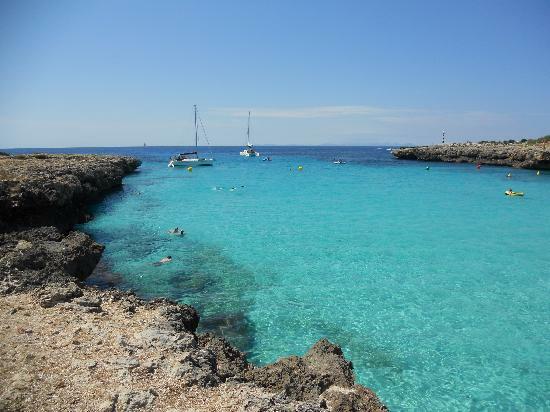 Both on Calan Bosch beach and at Son Xoriguer you can practise water sports. After dark there’s a great choice of restaurants on the banks of the charming lake at Calan Bosch in Menorca. Our large fleet is regularly updated to ensure your total satisfaction when hiring a car at Calan Bosch. There’s no surcharge for cancelling or changing your reservation. Just pay the total cost when you pick up your hire car at Calan Bosch.